HMD Global released an update for its versatile My phone app that comes preinstalled on all Nokia phones. 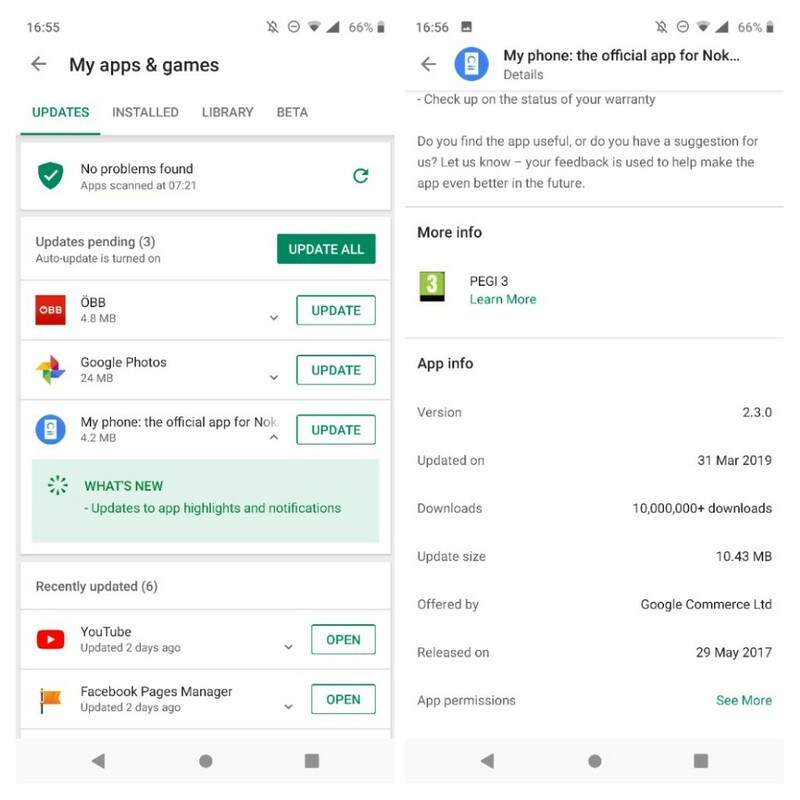 The latest update changes the apps version number to 2.3.0. The update is just 4.2 MB large, and it brings new info to app highlights and improves the app notifications. I occasionally use the up to check new posts the community forum, but some features there could be useful if you are using it frequently. For example, app suggestion is a nice option to have but suggested app list could be a bit updated or more useful. It offers me to install the Opera Mini browser which I used last time when I had Symbian Nokia device as my primary one. Are you using this App highlights category inside the My phone app? Have you noticed the full name of the app? If you haven’t it’s My phone: the official app for Nokia phones. No, it is not the April’s fool joke :). One is enough for today.